Special Announcement: Where is Gretel Flying To? You are here: Home / Life With Dogs / Special Announcement: Where is Gretel Flying To? Wednesday, I made an announcement on our Facebook Page that I had just found out that Gretel would be flying to Knoxville, Tenn. with me on October 1st (thanks to everyone who gave me great advice for flying with a dog). I have never flown with a dog in cabin before (or at all) and Gretel has never been on an airplane. I never brought either of the dogs with me to a conference that wasn’t within driving distance. I didn’t want their/our first airplane experience to be several hours long. I though that I would try an hour flight to Portland, Ore. first to test a flight out. That never happened. So, why are Gretel and I flying to Knoxville? I’ve been keeping a secret from you since the BlogPaws conference in May. 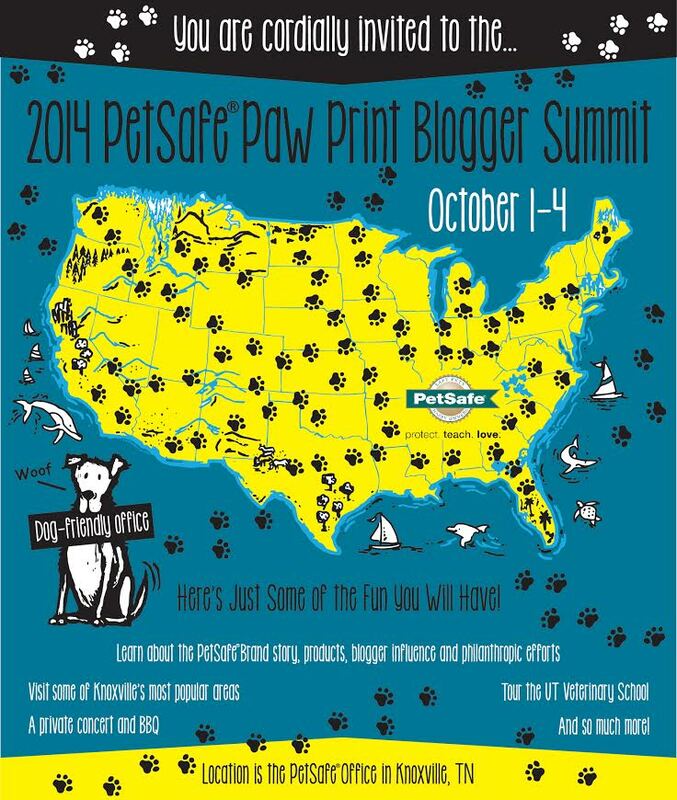 I was invited by PetSafe® to their Paw Print Blogger Summit. The Paw Print Blogger Summit is a special, invite only event. Only a dozen pet bloggers were invited (and there are thousands out there). It’s a really big deal for me. Being invited means that a pet brand respects my writing and acknowledges the influence I have in the pet community. It means they want to give ME a behind-the-scenes look at their company. With less than two weeks until the flight, I had to give myself a crash course in flying with a dog in cabin. I researched the airline requirements, the size limitations on the pet carrier, which pet carrier to get, and what I need to carry onto the flight with me to make Gretel’s experience (and mine) and pleasant as possible. I’ll be sharing about all of those things over the next few weeks so keep an eye out. Wow, congratulations! Can’t wait to hear about the experience. Have a great time! I can’t wait to hear all about yours and Gretel’s trip to Knoxville. And Congrats!!! Forgot about that. Whoa! 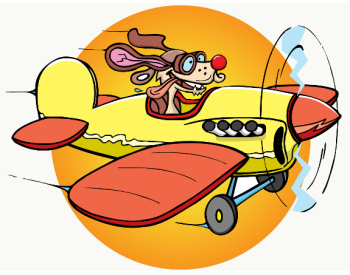 Gretel will be just like Snoopy flying in an airplane! Can’t wait to hear about that. And congrats on the conference! Woo Hoo Congrats. I hope you have a wonderful time and Gretel does great. WOW! What an opportunity for both of you. I’m anxious to hear all about it. I’ve been on planes before with dogs traveling with their humans; they never had a problem and everyone had fun! Congrats! I hope you and Greta have a wonderful time. It’s sad to say but I think I might be more worried about myself on a flight than my dog.. Of course she would be on my mind as well. I will be anxious to hear how it all goes for you and Gretel!